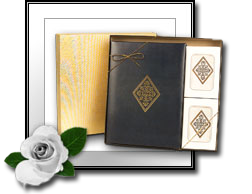 Memorial Stationery - Lisa S. Dozier Funeral Service Inc.
We have a selection of several designs, for you to choose from. A complete line of acknowledgment cards, memorial folders, service programs, memorial bookmarks, register books and prayer cards are currently available. Give us a call at (718) 922-LISA (5472) to discuss your memorial stationery needs.